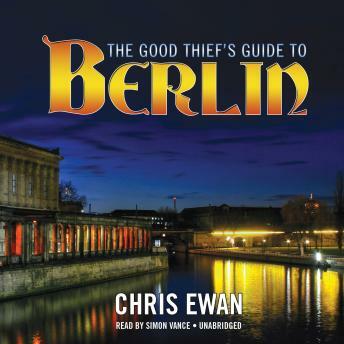 Charlie Howard, part-time writer, part-time thief, has been engaged in a veritable spree of larceny and misappropriation since moving to Berlin. He’s supposed to be working on his next novel. But high rent and a love for thrill-seeking has been hard on his word count. But Charlie’s larcenous binge is interrupted by the call to duty—on behalf of Her Majesty’s Government. Four embassy employees are suspected of stealing a sensitive item. Charlie is to break into their homes, find the culprit, and recover the stolen property. But there’s a catch. The item is so sensitive, Charlie isn’t told what he’s looking for. Not its size, not its weight, nothing. He’s only told that he’ll recognize it when he sees it. Charlie has been a successful thief because he follows his own rules, the first being “Don’t get caught.” Well, after he enters the first suspect’s home, he has to add a new rule: “Don’t admire the view.” As Charlie stares across the street, he sees something he really wishes he hadn’t—a woman being murdered. And that’s just for starters. What follows is a wild adventure in the former cauldron of spies.